Virginia voters won’t decide a new governor for six months, but the two frontrunners’ campaigns are starting to take shape. Democrat Terry McAuliffe officially starts his campaign this week with a series of public events in which he will discuss a variety of policy issues. The businessman discussed transportation Sunday at the Half Moone Cruise and Celebration Center in Norfolk. On Monday, McAuliffe will join Sen. Tim Kaine (D-Va.) at an event in Richmond, where the two will discuss how to strengthen community colleges. He’ll also appear at events in Charlottesville and Harrisonburg. 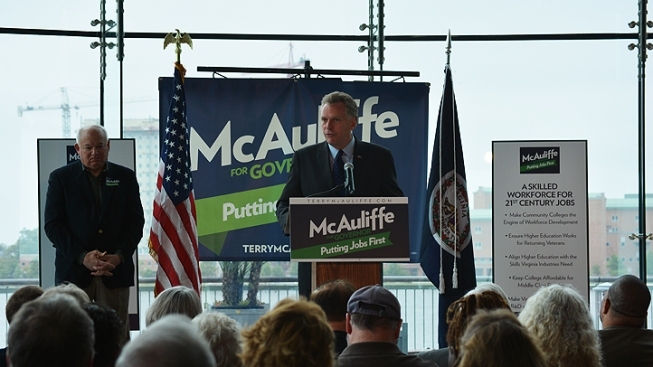 McAuliffe hits the campaign trail just days after his first television ad appeared in Virginia and the D.C. area. And according to one new poll, the campaigning may do some good. A new Washington Post poll finds McAuliffe’s opponent, Republican Attorney General Ken Cuccinelli, has an early lead. The poll of 1,000 Virginia adults gave Cuccinelli a 46 percent to 41 percent advantage over McAuliffe, who has never held public office and is far less known than the Attorney General. Many, however, expect those numbers to change. 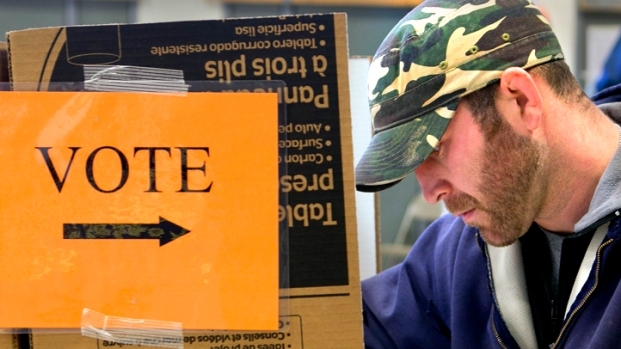 Only 10 percent of those who responded say they have followed the race closely, and even fewer say they have made up their mind about their vote.